The Return of the War Room is the companion piece to The War Room, the ground-breaking 1993 documentary by DA Pennebaker and Chris Hegedus that went behind the scenes of Democrat Party candidate Bill Clinton’s successful 1992 presidential election campaign to focus on the tireless staffers who pioneered the political concept of ‘rapid response’. The new film, which was financed by the Sundance Channel, catches up with Team Clinton 16 years later, allowing those involved to reflect on their victory and the unconventional approach that was adopted to take the Governor of Arkansas to the White House. 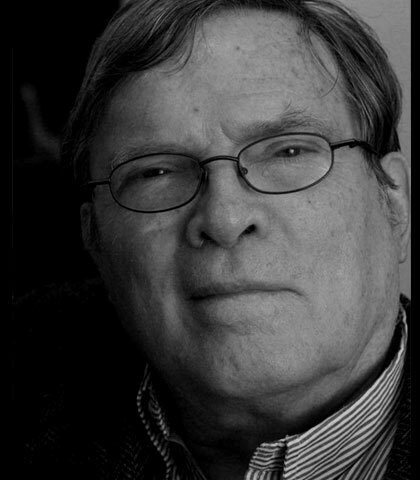 Pennebaker was one of the founders of the Direct Cinema/cinéma vérité movement of the 1950s, and he has since aligned his interests of music and politics with documentaries such as the legendary Don’t Look Back (1967), which followed Bob Dylan on his first British tour in 1965. He later partnered both professionally and personally with Chris Hegedus, and the couple formed a company to specialise in documentaries that sidestep traditional voice-over narration and interviews in favour of capturing interesting individuals in real-life situations. Recent projects have included the concert film Down from the Mountain (2000), which contributed to the commercial breakthrough of bluegrass music, and Startup.com (2001), which chronicled the short-lived internet business boom of the new millennium. John Berra met with Pennebaker and Hegedus at the Sheffield Doc/Fest to discuss the evolution of campaign strategy, the similarities between musicians and politicians, and why their documentaries are, in fact, plays. John Berra: The Return of the War Room comes 16 years after The War Room. Was this an opportunity to comment on how the political landscape has changed with regards to campaigning since 1992? Chris Hegedus: Definitely, we are interested in the ways campaigns evolve and they changed while we were making the film. Every day there was some aspect of technology that would not only be ground-breaking but change campaign strategy. They had some internet fundraising, and it all of a sudden took off, and then it was people making movies with their phones and putting them on the internet and catching the politician saying something he didn’t want to be seen saying. It became obvious that a candidate did not have one moment of his public life when he could be unaware. JB: The War Room was a new concept that influenced the campaign strategy of the Labour party in 1997. What was the reaction to the events depicted in the first film in 1992? DA Pennebaker: The film was received in different ways in different countries. In France it was successful, but in Germany, to see a politician who was younger than 80 years old was shocking. They didn’t know what to make of it! JB: The original film was supposed to be a study of the Democrat Party candidate Bill Clinton, but he did not want a camera crew following him around. How did you feel about adjusting your focus to the staff of his War Room? DAP: I thought we were lucky because my experience with the candidates of the major parties is that you don’t really get anything that surprises you, but we were with people who were wonderful characters who really said what was on their minds, and it made it a better movie. I had started a film with Bobby Kennedy because I knew he was going to run, and I had said, ‘I would like to make a film about you, and the end of the film will be you walking into the White House’. But it was too expensive and I couldn’t raise the money to do it. Kennedy would have been good because I knew him, and he would have talked, but trying to dissect the person who is looking to be the perfect candidate, who wants to share every religion, is not realistic; he becomes a cartoon figure. CH: We were just so lucky that we stumbled across James Carville and George Stephanopoulos. James Carville was brilliant, he was so eccentric, like someone’s drunken uncle at a party, and then you would have this opposite, this brilliant Rhodes scholar, so you would have this buddy thing going on, and on top of that, James’s girlfriend [Republican Party strategist Mary Matalin] was running the Bush campaign. It was absurd. JB: That relationship plays an important role in both films. Were you aware that James and Mary were romantically involved before you started filming? DAP: We don’t really edit that way. We’re trying to make a piece of theatre, which means we’re thinking about people sitting in the fifth row and what is going to keep their attention. Carville was behind things like ‘the economy, stupid’. He’s a guy who manages to take these realities and squeeze them down to an epigram and everybody understands it right away, so when he was talking to George we would keep an eye on him. But you don’t make them think that you’re looking to make them be something that they aren’t. They have to feel that the film you’re making is really representative of what they do because they dig what they do and they want people to know what they do. JB:	You have made celebrated documentaries about both music and politics. Is the circus that surrounds artists similar to the one that surrounds politicians? DAP: They’re not too different. They both have a career based on a talent that they happen to possess, and how they came to decide to exercise it, you don’t know. Musicians are people who, when they go to the party and there is no instrument to play, slip out of the window. They don’t know what to do with themselves. CH: What they both have is the character to provoke something, they are both taking risks with their careers, and the good ones feel authentically for what they are trying to do. It makes them very similar, and it makes for a very sympathetic character. JB: Startup.com is probably your most downbeat film in that the subjects suffer the failure of the dot com boom. Is it difficult to remain professionally detached when the people you are documenting experience such bad fortune? CH: It’s very hard because you become their friends. Even though these guys were really young, they were part of this very exciting moment and within three months they raised $60 million. Their website wasn’t a goofy website. It was actually a very useful government website which had some really good ideas and a lot of altruistic ambition, so it was very sad. You kind of wanted to say something and intervene, but you don’t know the whole story as a filmmaker. JB: Don, you were a pioneer of the Direct Cinema movement in the 1950s, and yet you have often described your documentaries as ‘plays’. Is that because you look for a narrative and emotional arc within the subject? DAP: I used to read a lot of plays, and I think that the idea of dialogue driving a situation is what plays are. But in the early days of movies, documentaries were silent; you hired a religious zealot to play organ music over the film because you didn’t have cameras that could shoot synch-sound, so you couldn’t get what happens in a real situation. I think that the theatrical experience is very important to people. I know it’s not real, and I know those people are just actors, but the minute it starts, all that recedes, and all I see is the situation, and I want to know where it’s going to go, and I can follow that through the dialogue. CH: We do look for situations that have some theatrical arc to them, especially when you make the kind of films where you’re following someone’s life. Return of the War Room was a challenge for us because it was our first interview film, which proved to be a strange new experience. We started out trying to shoot people in their real lives, but that didn’t work out because George Stephanopoulos ended up being owned by ABC Television, and they would only allow us to film him for 45 minutes sitting in a chair. We thought it would be weird to have all this real-life stuff with everybody else, and then George sitting in a chair, but what people were saying was so interesting, that all that other stuff just fell away. JB: Return of the War Room features footage of Barack Obama, but only passing reference is made to his campaign. Did you not want to compare Obama-mania with the Clinton campaign of 1992? CH: There were already two filmmakers who were making a film about him, and they were very protective of their access, and we shot this at the end of the spring when the Hilary-Obama dynamic was going on, so we never had a moment. Like our other films, whatever the people talked about was where the film went and that directed us. DAP: There is no long-term plan. Making one of these films is like wandering into one of those gardens you have here in England, a maze, and you go in knowing it’s going to be a maze but there is a movie there; every turn is a surprise, and that’s interesting because you have to take that turn into consideration.